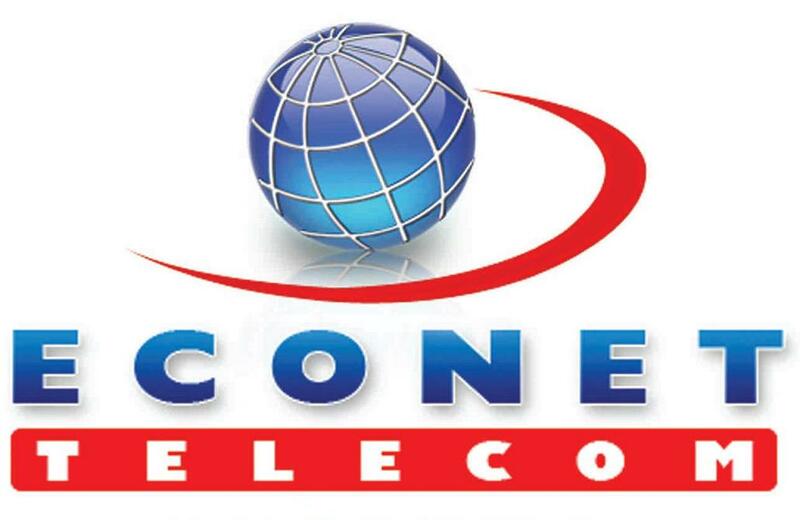 Zimbabwe’s largest mobile operator by subscribers, Econet Wireless, has been forced to reverse its decision to switch off interconnection with state-owned NetOne. Econet decided to cut services to NetOne owing a dispute over interconnection fees amounting to more than USD20 million that Econet claimed had been unpaid since 2009. However, the country’s high court has now ordered Econet to resume interconnection with NetOne. Econet says it is also trying to recover unpaid interconnection fees from TelOne. And, in a separate development, Econet says it has begun taking delivery of new equipment that will see the capacity of its mobile network increase to ten million subscribers. At the end of June 2012 Econet had almost seven million subscribers, corresponding to a market share of around 65%. Last week Nigeria’s Minister of Communication Technology, Mrs Omobola Johnson, made an official presentation to the Federal Executive Council (FEC) on the government’s plans for merging the country’s telecoms and broadcasting regulators, the Nigerian Communications Commission (NCC) and National Broadcasting Commission (NBC). However, local newspaper This Day quotes NBC director general, Yomi Bolarinwa, as saying that the commission is unaware of such a move by the government. ‘NBC is a government agency, we have not been informed by government of any merger, when government writes [to] us, then we will know. Now, we don’t have knowledge of such merger,’ the official said in a phone interview. South Africa-based mobile group Vodacom has confirmed that it is ready to expand its operational footprint across Africa, and is on the hunt for small-scale acquisitions. Vodacom, which is majority owned by the UK’s Vodafone Group, currently operates in five countries in sub-Saharan Africa, and chief executive Pieter Uys told Dow Jones Newswires that the company is looking to make a series of acquisitions in the USD100 million range. Uys noted that Vodacom will focus on countries that offer a stable political environment, have densely populated cities and offer room for growth. As such, the CEO pinpointed Angola, Ethiopia and Uganda as likely targets. Announcing its FY11 results earlier this week, Vodacom noted that the financial year ended March was the first time that its operations outside South Africa have contributed positive cash flow. As a result, Uys told Dow Jones: ‘We feel more comfortable that we have the recipe to be successful outside South Africa’. In March 2012 Sifiso Dabengwa, CEO of Vodacom’s chief rival MTN Group confirmed that his company was interested in lining up so-called ‘bolt-on’ deals in new African markets, once again naming Angola and Ethiopia. In the former, a third mobile licence has been expected for some time, with state-run incumbent Angola Telecom keen to secure an international partner to assist with its entrance to the sector. Meanwhile, Ethiopia is one of the few countries in Africa still operating a monopoly in the wireless sector, with state-run Ethio Telecom the sole licensee. Elsewhere, Uganda is overcrowded by comparison, boasting six active wireless operators, with another, Sure Telecom Uganda, waiting in the wings. Of the country’s cellcos, Uganda Telecom Ltd and Warid Telecom Uganda are plausible targets, with the ownership of both companies coming under scrutiny in recent years. Indian telecoms group Bharti Airtel has announced it has secured a licence to provide 2G and 3G cellular services in Rwanda, The New Times reports. The company plans to invest over USD100 million over the next three years, including USD30 million for the purchase of the operating licence. It aims to bring ‘affordable services and innovative products’ to the market, and plans to expand its wireless broadband network to all major towns across the country. In June 2010 Bharti Airtel acquired the African assets of Kuwait’s Zain Group, in a deal valued at USD10.7 billion. The company took over Zain’s operations in 15 countries, including Malawi, Burkina Faso, Ghana, Kenya, Nigeria, Sierra Leone and Uganda. Bharti will join two other mobile operators in the market: South Africa-based MTN Rwanda, which had a total of 2.794 million mobile subscribers at the end of June 2011; and Millicom Rwanda (Tigo), which is majority-owned by Luxembourg-based Millicom International Cellular and had a subscriber base of over 812,000 at the same date. A third operator, Rwandatel, had its mobile licence revoked in April 2011, after the company failed to meet licence obligations, such as coverage, quality of service and planned investment targets. Rwandatel is 80% owned by Libyan government investment vehicle LAP Green Networks, although telecoms regulator RURA said the decision to cancel its mobile licence had nothing to do with enforcing a United Nations (UN) resolution to impose sanctions on Libya, including the freezing of its assets, following unrest in the North African nation. Kenyan operator Safaricom has apologised to its customers for a hitch that has affected its subscribers' ability to make calls or send SMSes since 01 September. The fault has meant that some subscribers' calls are going through only after several attempts, while SMSes are not reaching the intended recipients immediately but remaining pending for some time. The incidence of these has been random and intermittent across the network. CEO Bob Collymore apologised for the inconvenience this has caused to customers and assured them that the situation is being closely monitored and prioritised to ensure services resume as soon as possible. The government of the Democratic Republic of Congo (DRC) has confirmed that France Telecom (FT) is the only bidder for its 49% stake in Congo Chine Telecom (CCT). Already in talks with Chinese vendor ZTE for its 51% share of the company, FT is expected to pay around EUR300 million (USD) in total for the operator, a reflection of its level of debt, rather than its value. Reuters reports that, Elie Girard, FT’s executive director said that this is an ‘important step, but not the final step of the process of the withdrawal of the state from CCT and the acquisition’. The move is part of a broader strategy from FT to increase its presence in emerging markets to offset increasing competition and declining revenues in Europe. The government has changed the telecommunication licensing rules in a way that promises to lower the cost of acquiring high-speed delivery platforms and give one operator control of the market. The new rules that among other things requires those bidding for the 4G spectrum licence is hinged on the Public Private Partnerships (PPP) model and are aimed at avoiding the battle over the pricing that dogged the issuance of the 3G licences. Tender rules that were published on Tuesday indicate that unlike in the past when the licence was awarded to each operator, the 4G will be controlled by a consortium of players who must have at least 20 per cent local ownership. The requirement locks out Airtel and Essar's Yu, leaving Safaricom and Telkom Kenya in the race for the tender. The two are the only holders of the Network Facilities Provider Tier 1 category (the technical reference to mobile phone operators' licence) and with a 20 per cent local shareholding. The government, through Treasury, has 49 per cent stake in Telkom Kenya while Safaricom is owned 40 per cent by the UK's Vodafone, 35 per cent by the Government of Kenya and 25 per cent by the public through the Nairobi Stock Exchange. Airtel Kenya has a five per cent local ownership, after businessman Naushad Merali - the sole local partner -- sold 15 per cent of his stake in the firm last year. Essar's Yu is 100 per cent owned by India's Essar Communications, which bought the 20 per cent stake that local firms Capital Africa, CrossLink and Startnet held last year for an undisclosed sum. Rene Meza, the Airtel managing director, questioned the transparency of the tendering process and promised that his firm will be seeking clarification, especially on the 20 per cent rule as Airtel intends to fully participate in the tendering process. "We will seek clarification on the requirement of 20 per cent ownership. We believe it is sufficient that an operator is licensed," said Mr Meza. "Because there is no structure for the tender proposal, evaluation of the bids by the Ministry of Information may be subjective to the extent that undermines transparency and fairness." 4G refers to the fourth generation of wireless telecommunication technology with a larger capacity to deliver data and facilitate high end of market services such as video conferencing and gaming. Kenya's telecom operators see ownership of the technology as critical to future revenue growth with the continued decline in earnings from the voice business. On Thursday, the government said it will not bend the 20 per cent local ownership rule, arguing that Yu and Airtel chose to sidestep the local shareholding requirement. "The two don't meet the 20 per cent rule and do not have national infrastructure that can be upgraded to 4G," said Bitange Ndemo, the Information permanent secretary. Dr Ndemo said the 20 per cent rule is a policy requirement that Airtel and Yu should make an effort to comply with. People familiar with the policy position on the matter said the ultimate goal of the tendering is to open a window for the government to ride on operators with national coverage to reduce the cost and time of deploying the 4G network in readiness for use in e-voting in 2012. "An individual firm will have to spend not less than $4 billion to roll out the infrastructure but the model we have proposed will cost an average of $100 million and take less time," said our source. Telecoms sector ownership rules require foreign companies to have a 20 per cent local shareholding. It, however, gives foreign investors three year grace period to look for suitable partners. Econet Wirelesss International, which held the third mobile license was the first beneficiary of this rule that helped it survive a protracted court battle with its local partners, the Kenya National Federation of Farmers. Econet ultimately sold its shares to Essar Communication, a subsidiary of India's Essar Global four years ago. He acquired and immediately sold the Vivendi stake in 2004 at $250 million remaining with his 40 per cent. Kuwait's MTC then bought Celtel out of 16 African countries in 2005 and three years later, Mr Merali sold half of his stake to Zain putting 80 per cent of the firm in foreign hands. Last year, Mr Merali sought exemption and was allowed to sell an additional 15 per cent of his stake - a move that has now come back to Bharti Airtel, the current owners. The tender specifications have also locked out infrastructure providers such as Kenya Data Networks, AccessKenya, Jamii and Wananchi Group who do not fall within the licence category specified on the tender notice. Joshua Chepkwony, the chairman of the Telecommunication Network Operators said that while having an open access 4G network was positive, the manner in which the tender document has been structured shows that the government has a pre-determined candidate. "There is need to call for a stakeholders meeting to explain the desired composition of the consortium because as it is the tender document locks out operators who are not in the tier 1 category but fall within the telecoms ecosystem," he said. The LTE -- commonly known as 4G --offers subscribers access to mobile internet at much faster speeds, making it a cutting edge tool for companies offering their services on the medium. The government says it will offer 4G license to a consortium of players that will implement and manage it to avert disputes encountered with the issuance of the 3G licences to the late entrants. Safaricom paid $25 million for the 3G license fee, only for the government to lower the fee to $10 million for Airtel and Telkom Kenya or 60 per cent less than Safaricom. 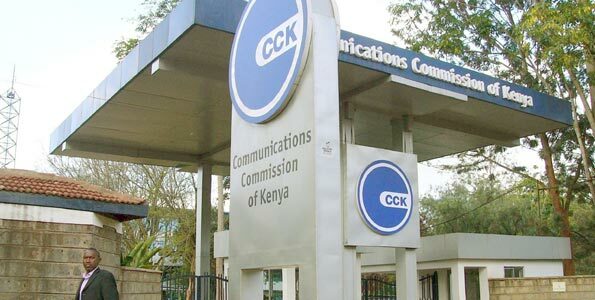 Under the new model, the consortium members will be composed of government (the owner of the national spectrum), equipment suppliers such as Huawei, Nokia Siemens Networks, Alcatel Lucent and Ericsson who must team up with telecommunication firms such as Safaricom, Telkom Kenya for expertise and equipment needed for the rollout. The move comes as mobile operators shift their focus to data, with competition in the voice segments getting stiff and revenue starting to decline with deep tariff cuts that have since August last year lowered the cost of voice calls by 50 per cent. Airtel yesterday became the second communications company in Uganda to up call tariffs with new rates starting Monday next week. The increase has been occasioned by the higher costs of doing business in Uganda, according to Mr V.G. Somasekhar, the managing director of Airtel Uganda. Customers will pay Shs4 per second, an increase from Shs3 per second or Shs240 per minute instead of Shs180 per minute. The new rates will apply to all calls on the Airtel network and other networks, according to a statement from the company. Airtel’s announcement came just a day after MTN Uganda doubled its calling tariffs from Shs2 per second to Shs4 per second, also citing the increasing cost of doing business. The economy is struggling with the depreciating Shilling, the rising cost of fuel and persistent power blackouts. This week, inflation hit a record 20% mark. Safaricom is considering offering discounted phones to its subscribers who own counterfeit phones ahead of a deadline to switch them off mobile networks. In a bid to stifle the thriving counterfeit phones trade in the country, the Communications Commission of Kenya has ordered mobile phone operators to switch off all subscribers who are using fake phones from their networks. Safaricom now says it may offer those subscribers a chance to own genuine handsets at affordable prices. "Switching off is not the solution," Safaricom Head of Consumer Business, Peter Arina, told The Star. The company has admitted to having about 800,000 subscribers using unidentifiable or unverifiable phones. 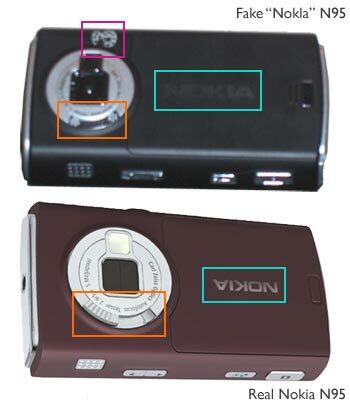 Typically, a network operator is able to see a phone's IMEI (International Mobile Equipment Identity) number and its unique 10-digit Mobile Identification number. "The first thing is we are going to go to our network and identify them, then we are going to communicate with them," Arina said "We have to let them know, by the way, that phone you have is not genuine or valid for this network." Safaricom will then offer the subscribers the opportunity to acquire genuine handsets at an affordable price. The company is the also the country's largest retailer of mobile phones. "We will tell them, you can come to the [Safaricom] shop with that particular number and we will give you a discount on a phone," Arina added. "But you have to come with that number that we contacted you with." By offering to migrate counterfeit phone owners to genuine handsets, the company may strike a crippling blow to the fake phone industry as the majority of subscribers are on its network. Arina said however that Safaricom could not do it alone and would go ahead to meet with the regulator on September 9. CCK has reiterated that by the end of September operators will have to implement solutions to remove fake phone users from their networks. South African communications minister Roy Padayachie has said that Telkom South Africa is ‘considering a major transaction in Africa’, Bloomberg Business Week reports. Speaking at the company’s annual shareholders’ meeting in Johannesburg, Padayachie commented: ‘The board is busy with a major deal. Telkom will make an announcement soon. You have to be patient, Telkom will make the announcement when the time is right, but the board is busy with a deal’. The minister was responding to questions regarding whether Telkom intended to make a new acquisition in Africa after selling its ill-fated investment in Nigeria’s Multilinks. Telkom bought its initial 75% stake in Multilinks for USD280 million in May 2007 and purchased the remaining 25% in January 2009 for USD130 million. However, the telco cut its losses in June 2011 when it disposed of the loss-making unit for just USD10 million, to an affiliate of Helios Towers Nigeria (HTN). Speaking at the meeting, Telkom chairman Lazarus Zim cautioned that the company needed to build a sustainable business in Africa, saying: ‘There were expensive and important lessons that we learnt in Nigeria’. However, company spokesman Pynee Chetty distanced Telkom from the acquisition speculation, saying that the company has ‘not identified attractive acquisition targets in Africa at this juncture’ and that the group’s focus ‘is currently to improve the performance of existing businesses’. Bharti Airtel Ltd., a leading global telecommunications company with operations in 19 countries across Asia and Africa, may launch 4G technology for mobiles in India sooner than expected. Sources claim that Sanjay Kapoor, CEO, India and South Asia, Bharti Airtel, believes that the launch of 4G services in India will happen in close vicinity with the launch in other countries. 4G is expected to take the mobile industry by storm, with every network operator eyeing it as a means of acquiring more customers and increasing their market share. Airtel is a dominant player in the Indian telecom market with around 170 million subscribers. Reportedly Mr. Kapoor has mentioned the low penetration of 3G devices as an obstacle for mobile operators providing 3G services. He further adds that the language of the content used in the country is not very conducive. The Ugandan government moved to stop Airtel Uganda from deactivating calls to the Uganda Telecom network over a UGX 10 billion dispute. According to local paper the Daily Monitor, ICT Minister Ruhakana Rugunda said the government was talking to both sides in a bid to resolve the dispute. Godfrey Mutabazi, the executive director of the Uganda Communications Commission, also confirmed that talks were underway to resolve the matter but it was unclear if an understanding had been reached. Airtel had announced that its customers would no longer be able to make or receive calls to UTL numbers from 1 September. This followed the termination of the interconnect agreement between the two operators on 15 August, after UTL failed to pay up to UGX 10 billion in outstanding interconnect fees and legal fines to Airtel. Joseph Kanyamunyu, Airtel's spokesman said the operator would not lift the ban on calls until UTL clears the debt. 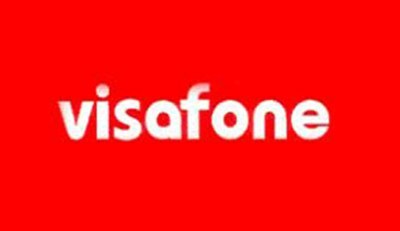 Nigerian CDMA network operator Visafone has introduced a range of value packages dubbed "Fantastic Visa Bundles". Head of Corporate Communications Joseph Ushigiale said customers will be able to make on-net calls at less than NGN 0.1 per second or NGN 0.50 per minute. There are three packages. The Weekly Bundle Package can be obtained by dialling *450*610# to get 50 minutes of on-net calls for NGN 100 valid for five days. The Monthly Bundle Package can be obtained by dialling *450*611# for 300 minutes' worth of calls valid for 30 days at NGN 300. The third package is the Mega Bundle Package, obtainable by dialling *450*612# to secure 2,000 minutes of call time for NGN 1,000 with a validity period of 30 days. US-based television platform provider SyncTV has announced a partnership with UK-based video-on-demand (VOD) service African Movie Channel (AMC), to deliver hundreds of classic and new Africa-origin films to global audiences through Roku Streaming Media Players and Samsung Connected TVs. Launched in 2006, AMC is the first and only channel dedicated to top-quality African films from the popular Nigerian film industry, Nollywood, and other major African studios. Lola Onigbogi, co-director and founder of AMC, said the digital platform is emerging as a top content distribution channel, and AMC recognises SyncTV as an extremely valuable asset in enabling the broader exposure of Africa-origin films. Wananchi Group in collaboration with Google and Aptilo Networks announced the launch of the Wazi Wi-Fi service in Nairobi, Kenya. The network already delivers high-speed internet access at Nairobi's Junction Shopping Mall area. The service is free for the first ten minutes of use per day on each device. Users can then purchase a single day pass for KES 50 per device or a monthly pass for KES 500. Customers can pay for the service online using credit cards or via local mobile money services including M-Pesa, Airtel Money and PesaPal. Wazi Wi-Fi uses the Aptilo Service Management Platform for service management and policy control and is delivered via Aptilo Cloud Services, a hosted platform. Wananchi said it's in talks with local businesses on expansion plans, and the company sees opportunities to use Wi-Fi technology for mobile data offloading and providing high-speed unmetered access away from home. Uganda has the highest number of substandard mobile phone devices in East Africa, The Daily Monitor reported. Analysts blamed the delayed enactment of the anti-counterfeit law by the county's parliament. Kenneth Oyolla, Nokia general manager for East and Southern Africa, said 30 percent of all mobile phones sold in Uganda are counterfeits, compared with 10 percent in Kenya. Nokia loses about USD 15 million monthly in the Kenyan market while the figures are higher in Uganda and Tanzania, he said. The Kenyan government passed an anti-counterfeit law in June 2010 that provides for anyone caught selling counterfeits to pay three times the retail value of the device and up to five years in jail if implicated again. Oyolla said the law has reduced trade in counterfeits in Kenya and should be replicated in all EAC countries as it is a common market. Traders dealing in counterfeits can easily cross to other countries in the region where there is no deterrent law, he said. A genuine E71 costs USD 230 while the fake one goes for about USD 50. Uganda's anti-counterfeit bill was not passed into law after the eighth Parliament closed before the bill's second reading. Oyolla, who was speaking at the launch of the Nokia 101 and Nokia 100 mobile handsets in Nairobi, said the firm has partnered with retailers in the sale of genuine devices as one of the ways to reduce revenue loss.